When Raynond Uawin laid out the plans for the area he left a number of small sites for tennis courts as well as the tennis and croquet grounds behind the Club House. 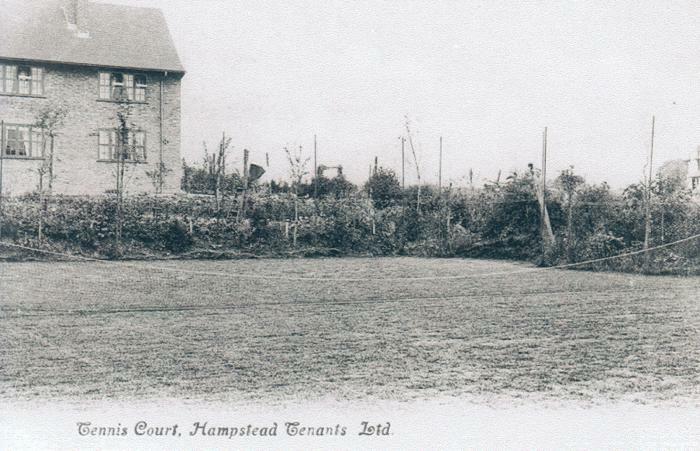 The only remaining courts are these and those on Central Square and in Northway Gardens. The other sites are just grassed over (St. Jude's) or turned into allotrnents (The Orchard).